Hi my name is Jacquie and I love dogs! I am passionate about ensuring that your dog has the best experience possible. 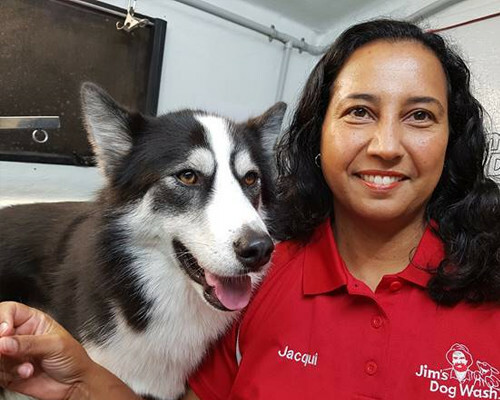 I look after the areas of Kalamundra, Gooseberry Hill, Maida Vale, Lesmurdie, Walliston and Perth and I offer full grooms, tidy ups, wash and blow dry, nail clipping and flea treatments. Please give me a call on 131546 and I will come to you with my mobile salon to meet you and your dog and provide an obligation free quote.